My last post was about my great-great uncle George P. Beaumont of the 10th New York Cavalry, and his service records from the National Archives. Among the most informative and interesting papers that can be found in a soldier’s pension files are affidavits completed by acquaintances and family members. These affidavits were intended to testify as to someone’s disability and also eligibility for a pension. It was also important to confirm that the soldier had never been married to another person who might have a claim against his pension. Uncle George’s sister, my great-great grandmother Hannah Beaumont Roberts, provided a signed statement (and now I have a copy of her signature!) to the notary public of Steuben County, New York in 1898. I was intimately acquainted with George P. Beaumont during his life time. He was my Brother and I know from my own personal knowledge that the said George P. Beaumont was never married until he married the claimant. I knew this fact from personal knowledge. Said soldier lived with me until he went to the army and while he learned his traid [sic] that of a Blacksmith. With that brief statement, Hannah gave me a few facts about George’s life – that he lived with her until he joined the army, and that he was learning to be a blacksmith. 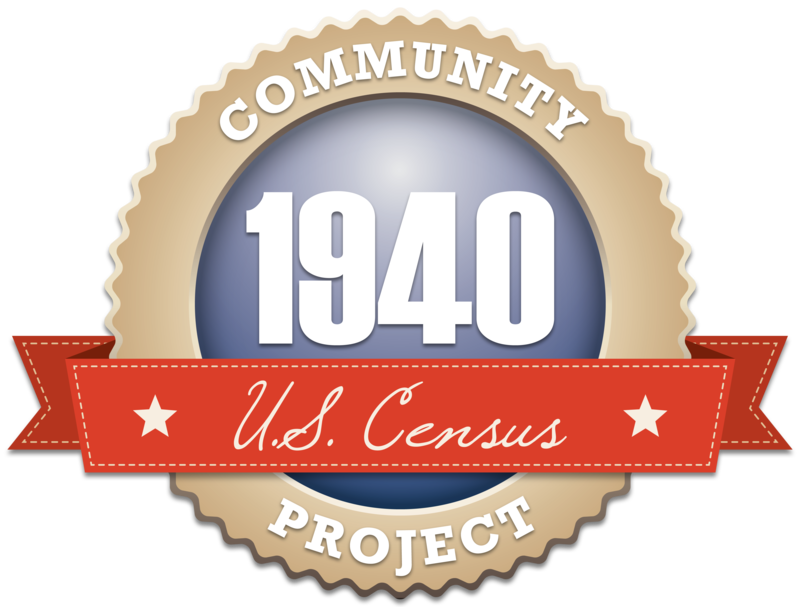 Although I knew he was a blacksmith from census records, I didn’t know when he first began to practice. This little tidbit from his sister was nice to find. Among the papers in George’s files are doctors’ statements and descriptions of his current state of health, as well as what happened to him when he was serving with the 10th NY Cavalry. So what did happen, and where? According to the files, George was injured during the famous Battle of Fredericksburg, Virginia, which took place between December 11 and 15, 1862, and was the largest battle of the war. The battle resulted in a Confederate victory, with about 12,700 Union soldiers killed – about twice the number of Confederates. Major General William B. Franklin was in charge of a division, and my great-great uncle George was on duty as his orderly. Fred A. Gee, the 1st Lieutenant of “L” Company with the 10th, described what he knew of the event that caused George’s injuries. 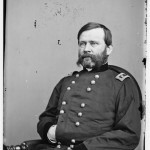 Major General William B. Franklin. ~image courtesy of Wikipedia. 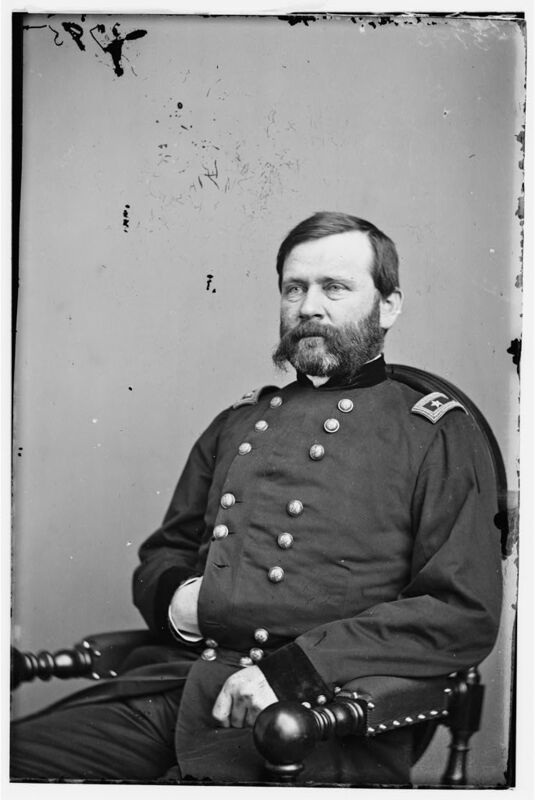 The claimant was detailed and acted as Orderly to Genl Franklin… at battle of Fredericksburg Va., December 13th 1862… he claims to have incurred an injury to his back and loins from his horse falling on him. Another description says that the horse upon which George was mounted fell upon him while attempting to jump over a stream. This injury plagued my uncle for the rest of his life. His pension documents show that he had trouble with his heart and back, and in the 1890 Veterans Schedules, his disability was described as “chronic diarrhea”! The pension records show that he eventually employed a man named Frederic J. Stinered to work for him, as he was unable to do his own work. George died in 1897 of heart disease at the age of 54, and his widow Adalade Hardin Beaumont applied for a widow’s pension. She had no property and her only income came from selling milk and butter from her cow. She also took in a boarder – that Frederic Stinered who was helping George with his blacksmithing. After an initial denial, Adalade was awarded a pension of $8 per month and was mentioned in the newspaper, which surprised me. Her application documents provided me with such things George’s death certificate, the date and place of her marriage, and her maiden name. I sometimes think that George was fortunate that he was serving as an orderly during the Battle of Fredericksburg. Perhaps it kept him out of the line of fire, when so many of his fellow soldiers were not so lucky. Even though he must have suffered the rest of his life after being “done in” by his horse, at least he was able to go home to his wife and two children.